Source: Complete Gambit Prime matches and increase your rank. 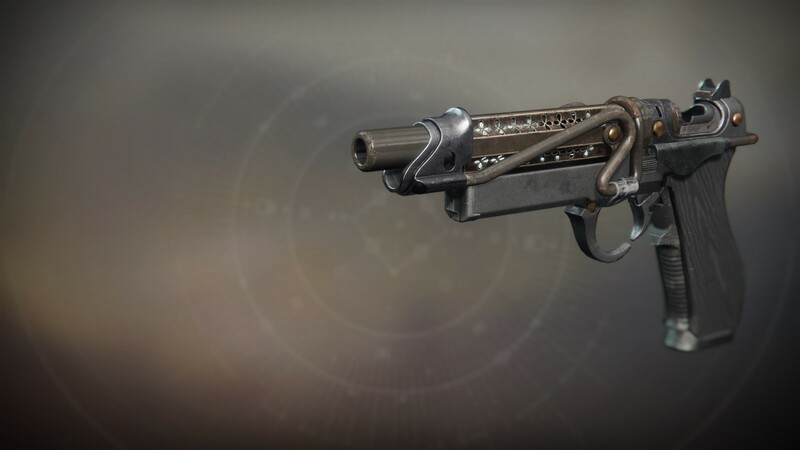 found one of these with graverobber + swashbuckler which synergizes really well for PvE, making clearing rank and file adds a breeze. it's loads of fun and once swashbuckler is fully charged, it feels like a 260 rpm hand cannon. mine also has extended barrel + flared magwell, only thing that would make it perfect would be, say armor piercing rounds or light mag. i'm not a PvP player but i doubt it'd be any good there.